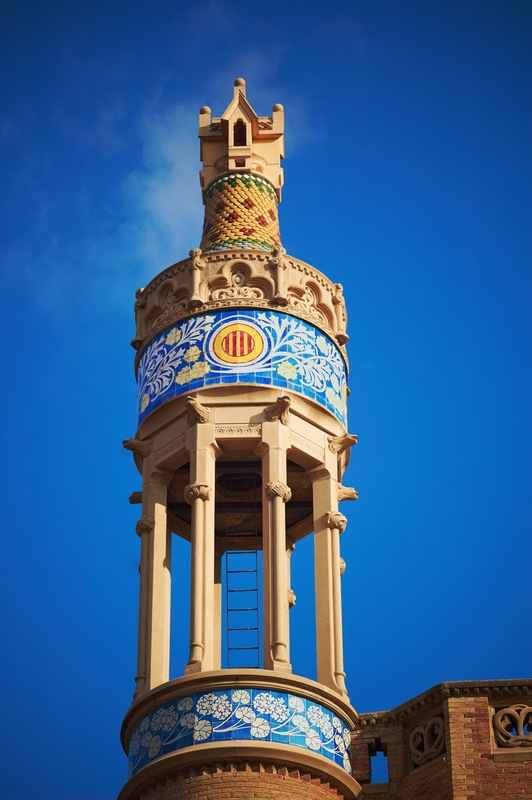 To welcome the new week enjoy this beautiful modernista turret inside Hospital de la Santa Creu i Sant Pau many times featured in this blog. Beautiful colours in the tiles and a wonderful design. Love that sky! Wonderful photo of a turret like none I've ever seen before yours! Fancy details, tiles, colors! Magnificent! Barcelona's architecture is definitely the most colorful I've seen anywhere! Such an impressive photo...the detail on the turret is so intricate and detailed and the colors outstanding, especially against that brilliant blue sky! What a great photo Carlos!